In mechanical watchmaking, the amount of power reserve continues to increase, which is great for convenience in a day and age when people use their phones more than ever. Albeit the rate that power reserves are increasing is nowhere near as fast something like computers, which according to Moore’s Law will, in theory, double in power every two years. But in general, the industry is moving in the right direction. 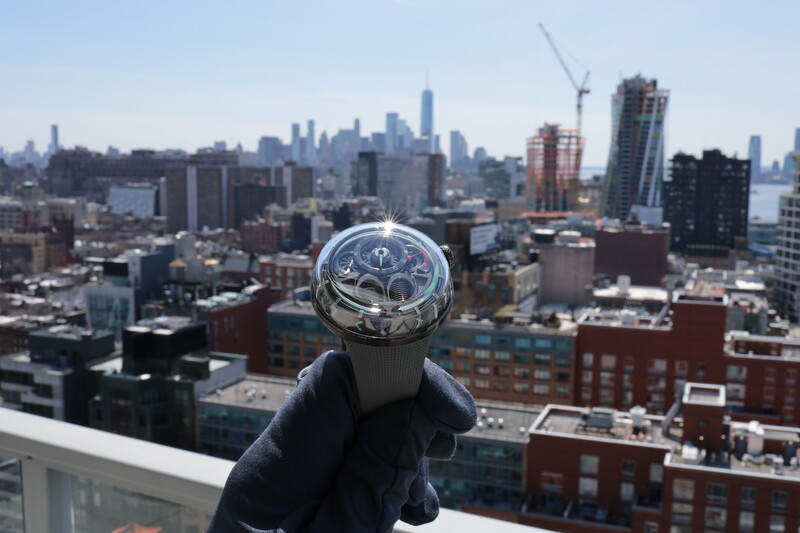 And now, what once averaged 48-hours, is closer to 72-hours (or three days instead of two) on the latest all-new and redesigned mechanical watch movements. To add some perspective, very few mechanical watches on the market can last a week (168-hours), and even rarer are watches that last longer than a week, such as the Lange 31, which incredibly, lasts 31 days (744-hours). The Lange 31 utilizes a massive mainspring power barrel to deliver such a long reserve. The Rebellion Prometheus with a 41 day (1000-hours) power reserve, which requires six chain-linked mainspring barrels, and the Hublot MP-05 LaFerrari with a 50 day (1200-hours) power reserve, which requires 11 series-coupled mainspring barrels (and even comes with a power tool that is used to wind the watch) also come to mind. 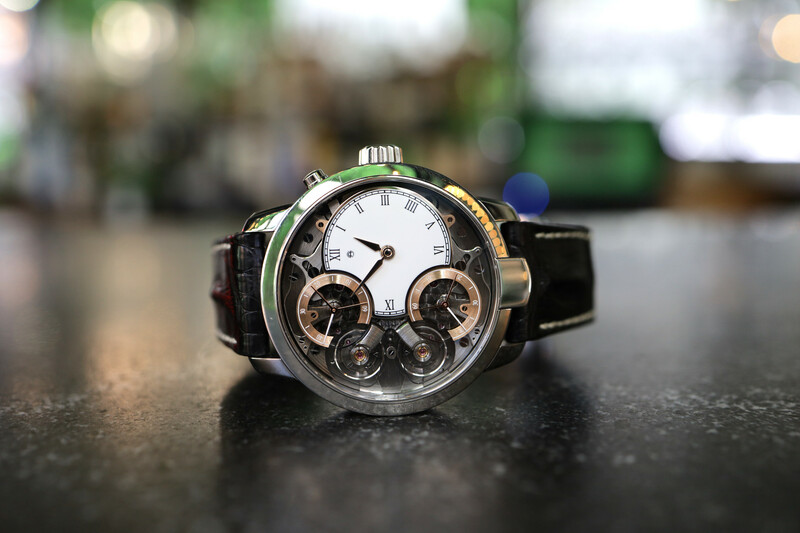 These three extended power reserve wristwatches all have one thing in common: they require some type of oversized mainspring system, which in turn makes the watches themselves quite large. Increasing the power reserve to drive time functions for longer periods is great for the consumer but not necessarily if the watch has to get bigger to do so. And while if you told me the watch I was wearing right now, which does not have a date, could go from 48-hours of maximum reserve to 100-hours, without getting any larger, then I would say sign me up. But considering it does not have a date, it’s less of a burden. For a perpetual calendar wristwatch – that in theory can be set and not need a date change all year long – an extended power reserve is a huge benefit. The reason is that in practice, even if a perpetual calendar does not need the date to reset throughout the year – if the power runs out you’ll have to reset the date anyway. Rich people problems. Nonetheless, Vacheron Constantin has come up with a good way to reduce the chance of needing to reset your perpetual by giving the caliber 3610 QP an unprecedented 65-day (1,560-hour power reserve). 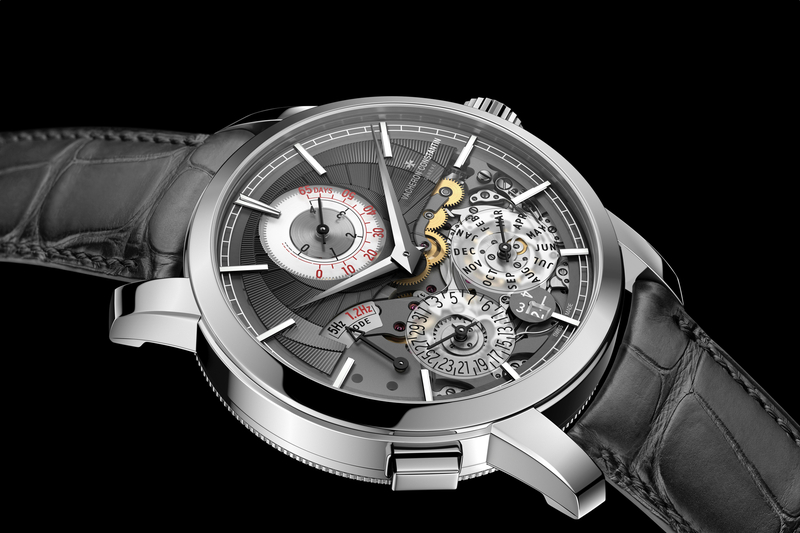 Innovatively, unlike the three aforementioned watches which require a massive mainspring power barrel or multiple connected barrels, for the Traditionnelle Twin Beat Perpetual Calendar, Vacheron Constantin developed a large (but not oversized) single mainspring barrel, linked to a twin balance system that can be toggled in order to achieve over two months of reserve. The key is that there are two oscillator rates, one that runs at 5Hz (and is for when you wear the watch and it requires more power), and the other is a 1.2Hz standby mode (for when you don’t wear the watch that requires a fraction of the power). The pusher located on the caseband at 8 o’clock instantly switches between the 5Hz (36,000 VPH) and the 1.2Hz (8,640 VPH) oscillators, so you can slow down or speed up the rate of oscillation, and therefore the amount of energy required. Leaving the watch in the low-beat (power save mode) allows for the maximum 65-day reserve to be achieved, while setting the watch to the high-beat mode reduces the reserve to 4-days. An all-or-nothing construction ensures that the switch between Active (Fast) and Standy (Slow) modes is instantaneous, with no lag when transitioning from one mode to the other. This guarantees that the chronometry of caliber 3610 QP is never interrupted, even for a fraction of a second, and that the time remains as precise. According to Vacheron Constantin, “One of the most basic assumptions of mechanical watchmaking used to be that the energy output of the mainspring barrel had a fixed timespan, with very little deviation from the stated power reserve. The Traditionnelle Twin Beat Perpetual Calendar transforms the mainspring into a source of variable energy levels, giving fine mechanical watchmaking a completely new degree of versatility. In addition to ensuring the precise switchover between the two balance systems, the jumping indications of the perpetual calendar, which are known for their parasitic influence on the balance of a movement, needed to be reworked due to their high energy requirements. To reduce loses of amplitude and again to enhance the chronometry of the entire movement, Vacheron Constantin implemented instantaneous jumping indications for the date, month and leap year which utilize a (patent-pending) sprung dual-gear compound system that requires four times less torque than a conventional jumping display. With this improvement, even at midnight on New Year’s Eve when all three indications jump instantaneously, the effect on the amplitude of the active balance is negligible. Due to the nature of this watch, which is two balance systems powered by one mainspring, a new hairspring was created for the highly sensitive Standy balance, with cross-sectional dimensions of 0.0774 mm by 0.0159 mm, which is as thin as a human hair, and much thinner than your common hairspring. The hairspring of the Standby balance is nearly four times smaller in cross section and exponentially more delicate than the hairspring of the Active balance (5Hz, 36,000vph). Additionally, because the hands and minutes receive timekeeping input from two gear trains, depending on the mode, a gear differential that allows the hands to read both inputs had to be specially developed. Impressively, all of this ingenuity is achieved with 480 components and a movement that measures just 32 mm x 6 mm. With Twin Beat system, Vacheron Constantin has created a better way for collector’s to better enjoy their perpetual calendar wristwatches, since the watches can be left unattended for two months, with no need to reset the date, therefore making the goal of going a whole year with no date change, that much more attainable, in real life. Collector’s at this level typically have so many watches that it’s highly unlikely they would actively use a single watch long enough during the year to keep it running, until now. Learn more at Vacheron Constantin. The Traditionnelle Twin Beat Perpetual Calendar is expected to retail for $199,000.